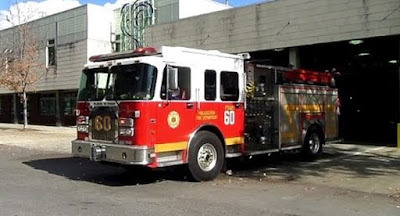 I’d like to offer my sincere thanks and appreciation to the Philadelphia Fire Department’s Engine 60 and Ladder 19 in South Philadelphia for their rapid response and swift solution to a fire scare in my home. This morning I smelled something burning in the front room of my basement and I called 911. The emergency operator called the Fire Department for me. Three fire vehicles quickly arrived, and the firemen went to my basement to check it out. Thankfully, they discovered quickly that the smell came from an overheated ballast in the overhead light. Had the firemen not caught this, I was told, I might have had a serious fire in the basement, which would have spread to the rest of my house and possibly killed my wife and me. The firemen, as well as a First District policewoman who also responded, and the 911 emergency operator, were professional, helpful and courteous.